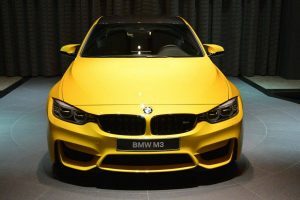 The BMW M4 is one of the top models the Bavarian manufacturer has to offer at this point. 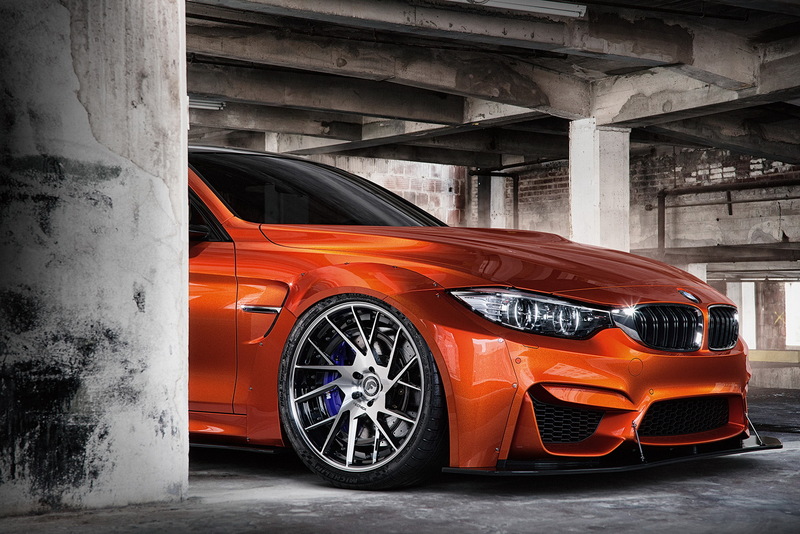 It embodies the perfect balance between performance and comfort. 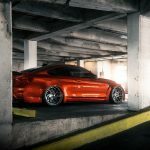 The folks over at Liberty Walk, a tuning garage in Japan, decided to further add to this car’s balance, improving every possible aspect. 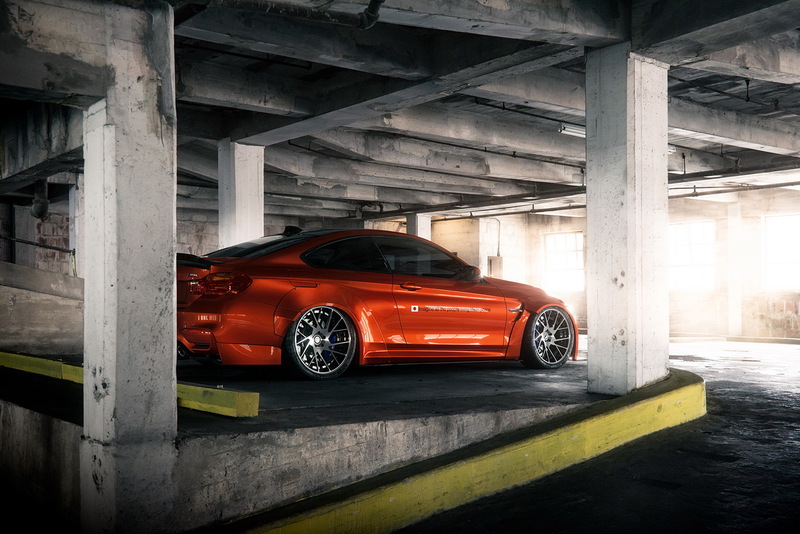 Right from the start you can notice this particular BMW M4 sports a bolt-on wide body kit. 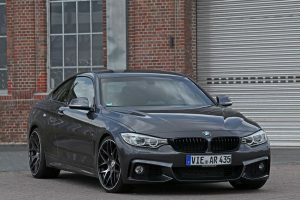 The kit changes some of the car’s design patterns, making it look more aggressive. 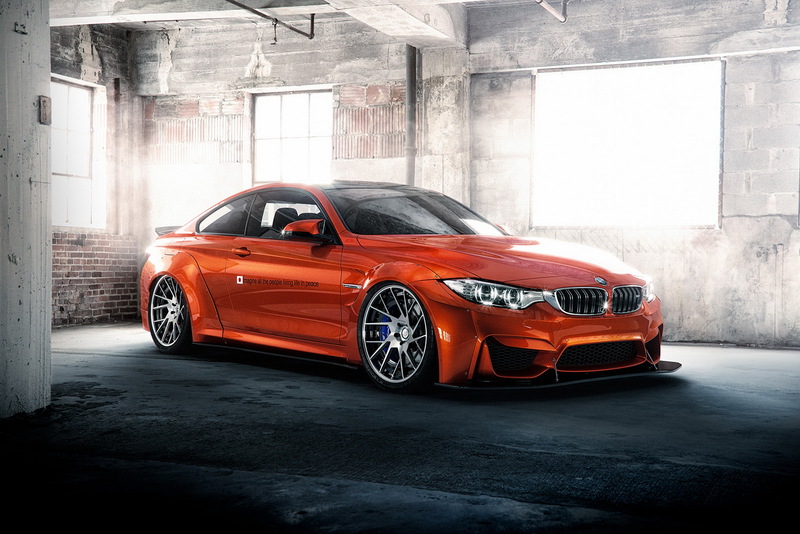 The Sakhir Orange paintjob further expands on the BMW M4’s aggressiveness. 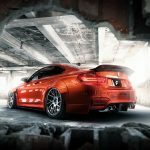 Spacers were also added together with a set of new Forgiato TEC 2.2-Rs rims in order to blend in well with the applied body kit. 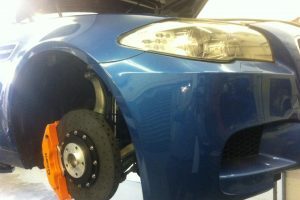 The car has also been lowered a couple of centimeters enhancing the look and wind resistance at the same time. For this particular build Liberty Walk decided to darken the windows as well, making sure the car looks even more stylish. 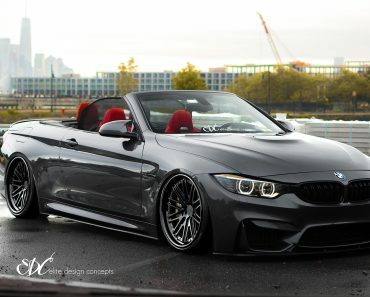 The overall style the people at Liberty Walk have been pursuing is that of exaggerated lines and shapes. 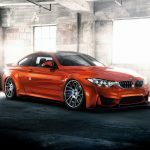 The BMW M4 incorporates all these changes making sure each end every new part blends in well with its Bavarian personality. The sheer beauty of the orange shade of color contributes to the blending process. The vehicle seems as if it’s been designed to look and feel this way. 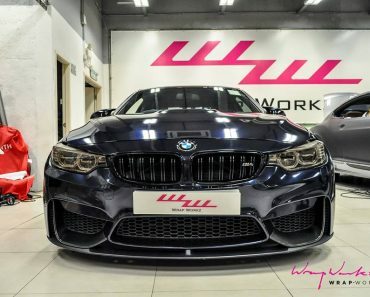 Even with its identity slightly modified the BMW M4 by Liberty Walk still retains the core elements of the Bavarian spirit the automaker has provided it with. The engine has not been worked on very much. 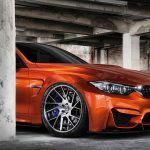 Apart from minor modifications here and there the people at Liberty Walk opted for a more visual approach for this particular build. 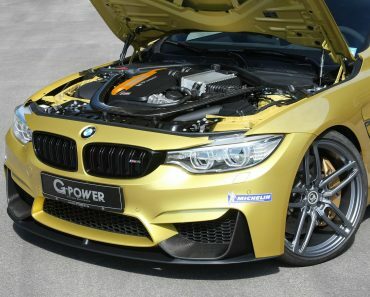 The engine is quite powerful anyway. It fits quite well with the applied modifications. 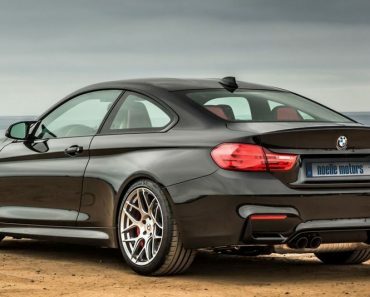 All the changes in the BMW M4’s exterior look have a guaranteed impact on the performance as well. 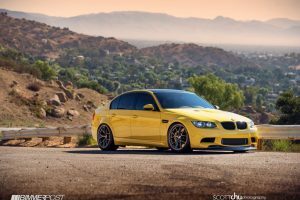 While it may not be as decisive as in the case of direct engine modifications, they still play quite an important role in making this particular BMW feel more nimble when driven. 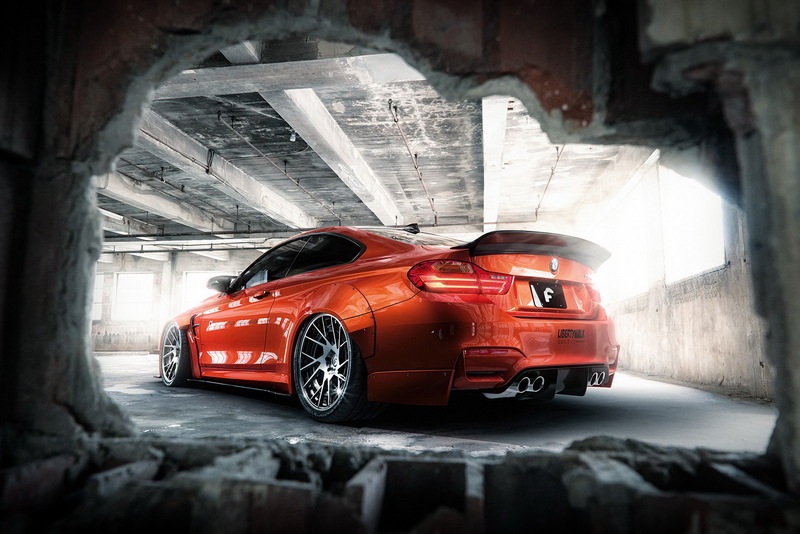 The BMW M4 by Liberty Walk is a successful attempt at bringing out the visual aspect of the BMW M4 which many may neglect in favor of the more prominent performance side. 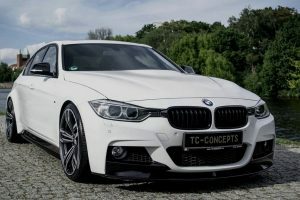 As it happens, this build feels more unique in the sense that it promotes the car model’s characteristics in a whole new way. 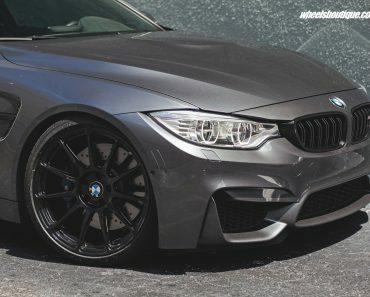 Liberty Walk’s approach is bold and stylish at the same time, which is why this particular M4 attracts so much attention.